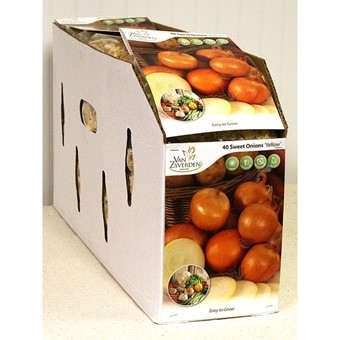 Onion sets are small 'baby' onions (bulbs) that are used to grow green onions and or dry onions. 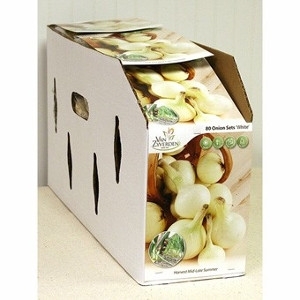 They are planted in gardens in late fall or early spring and in 4 to 5 weeks you will have green onions. If left to fully mature you will have dry onions in late July or early August. 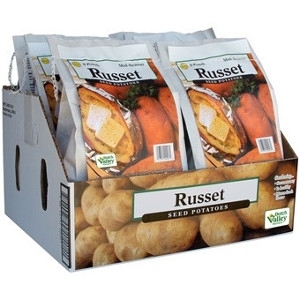 Russet potatoes are the standard for excellent baking and processing quality. 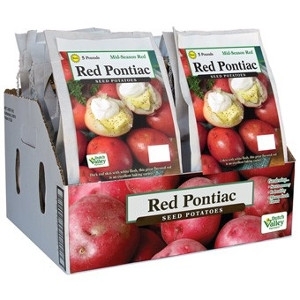 They are good long-term storage potatoes for tablestock and processing. Typically late maturing they require a 140-150 day growing season to produce maximum yields and quality. Yields are moderately high and tubers are large, long and cylindrical or slightly flattened with russeted skin and white flesh. This variety is widely adapted to production in many parts of the world and at one time was the primary variety used in potato chip production. It was also important in French fry processing. On the tablestock market, its reputation for good culinary quality is well known. This variety produces a high yield of large oblong tubers with thin smooth white skin and white flesh. Specific gravity ranges from 1.075 to 1.100. The Kennebec is excellent for baking, boiling, chipping and frying. It is a very popular exporting variety to all parts of the world. Mid-season tablestock, high yielding, and medium specific gravity. Tubers round to oblong, medium deep eyes, dark red skin, sometimes netted, white flesh, drought tolerant. Susceptible to potato virus Y, bruising and scab. Shallots are often thought to be another variety of onion, but they are actually a species of their own. They grow in clusters, where separate bulbs are attached at the base and by loose skins. 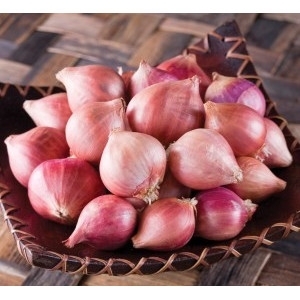 The shallot has a tapered shape and a fine-textured, coppery skin, which differentiates it from onions. 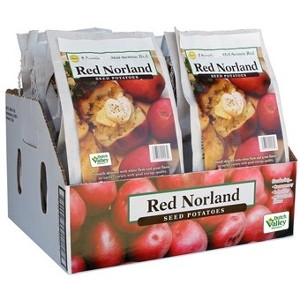 RED NORLAND 5LB BG CS/6 - Red Norland is a widely adapted, early maturing potato variety. Tubers are excellent for boiling and frying. 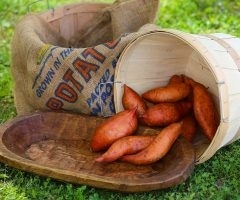 The oblong shape of the tuber is smooth, flattened, and medium red in color. 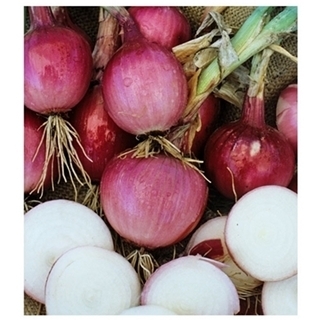 Red Onion sets are small 'baby' onions (bulbs) that are used to grow green onions and or dry onions. 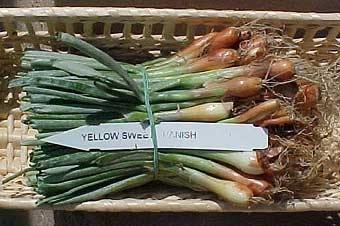 They are planted in gardens in late fall or early spring and in 4 to 5 weeks you will have green onions. 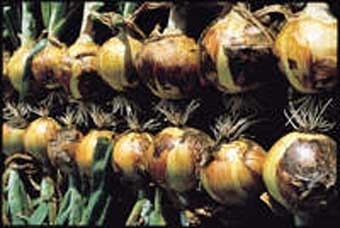 If left to fully mature, you will have dry onions in late July or early August. Yukon Gold Seed Potatoes, 5 lbs. 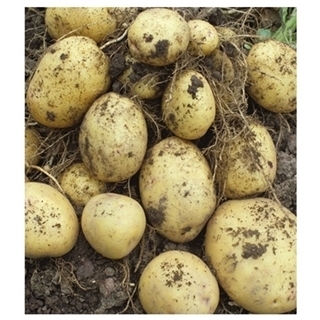 The Yukon Gold potato features a medium maturity, mid-season table stock and yellow flesh. Guaranteed to produce a high yield with a high specific gravity. 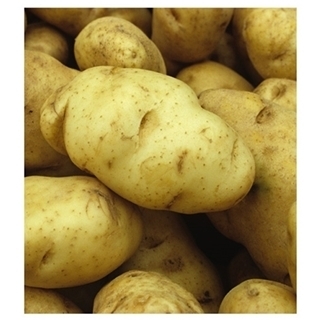 Tubers are oval with shallow pink eyes and yellowish-buff skin. Susceptible to scab but resistant to potato virus A and potato leaf roll virus. Comes in a 5 lb. bag. 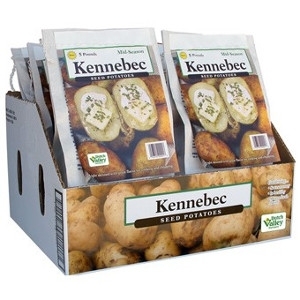 Perfect for culinary needs, the Kennebec potato features a medium maturity rate with a high yield of large oblong tubers. You can tell these potatoes apart from others because of their white skin and white flesh. Their specific gravity ranges from 1.075 to 1.100. 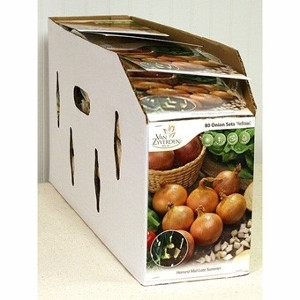 Excellent for baking, boiling, chipping and frying - these seeds come packaged in a 5 lb bag, ready to plant! This root crop has a maturity day of 90-100. Does not tolerate frost. Bundles of 12. Hart’s still uses only the highest quality seed available – always pure untreated seed, no chaff, provided by the top seed producers in the world. 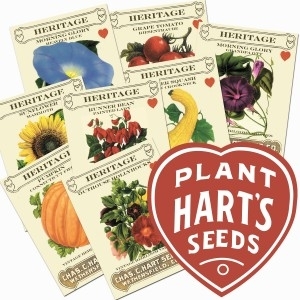 To continually assure you of success, all Hart's seed is independently tested for germination every few months.They have been gardeners, seed producers and seed suppliers for over 100 years and our standards are still higher than the national standards. Pick up a fine selection from Talmage Farm Agway! 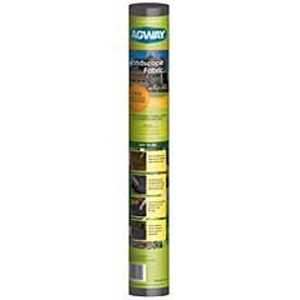 Agway Landscape Fabric 3 x 100 FT. Economical landscape fabric. Packaged with special Agway labeling. 3ft x 100ft roll. Quality spun bonded polypropylene construction. Easy to use. Stops weeds. Use around vegetables, flower beds, shrubbery and trees for a chemical-free week control. Guaranteed to last 5 years.